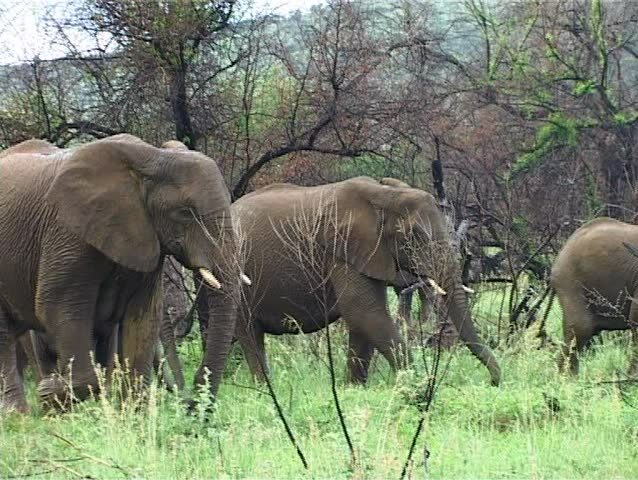 Large Elephant Herd (Loxodonta africana) calmly walking and eating. This herd will be a Female breeding herd whose primary role is to bring up their babies. hd01:00Two white rhino, one with a very long and sharp horn,standing in the african bush.